It's time to check back in to FamilySearch.org. The site has grown enormously in the past few years and become considerably more user-friendly. For any serious family history researcher, it is an essential resource. But it's also worth a visit for the merely curious, for searching for a lost friend or relative, or simply to marvel at the depth of the collection here. 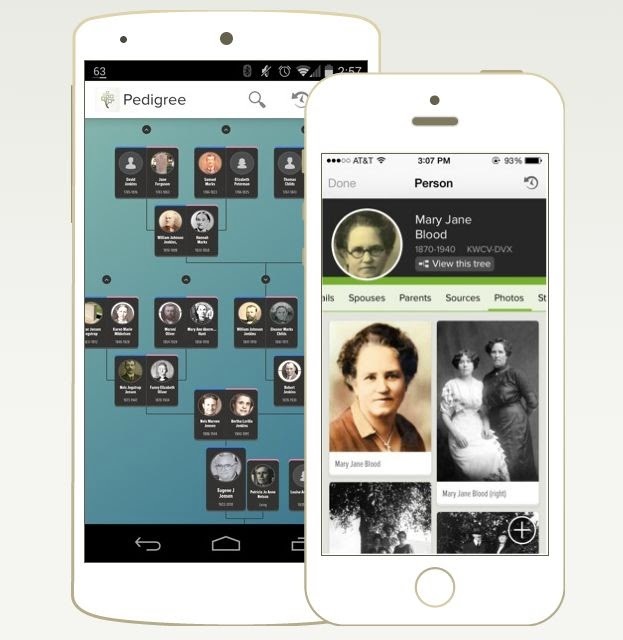 FamilySearch, a service of the Latter Day Saints, bills itself as "...the largest genealogical organization in the world". I don't know exactly how you go about measuring something like that, but still, their stats are impressive: more than 3 billion names on record, almost 5,000 service centers around the world and even 24/7 telephone support. And it's all free! The main tool at FamilySearch is their Search function, which quickly peruses billions of records from hundreds of sources ranging from Alabama Births and Christenings to Zimbabwe Death Notices. There are specialty searches as well, such as a quick look through 150,000 online genealogy books. FamilySearch is also a place where you and other family members can collaborate to build a family tree, store documents and photos, and ask for help from other researchers. And naturally, there's an app for your phone. You don't need to register at the site to get started, although registration (which, of course, is free) lets you save and post in certain places that wouldn't otherwise be available. Don't forget to also check for your family history at Ancestry.com as well as Newspapers.com and NewspaperArchive . These are subscription databases, but they are among the most powerful research tools available for looking into family roots.